Editor’s note: This article was originally published on yourstory.in. It has been adapted and republished with permission. Of the more than 6 billion cell phone subscriptions worldwide, 76 percent are in developing countries. Mobile access has provided vast new opportunities for businesses and non-profits serving the base of the pyramid – even though most BoP cell phone users have old-fashioned feature phones, limited to voice and texting. Imagine the possibilities if the developing world had smart phones instead. According to some analysts, you won’t have to imagine for long. With improving networks and falling prices, smart phone technology promises to be ubiquitous in BoP markets in the next two to four years. When it comes, it will be a game-changer for consumers and companies of all sorts – and health care is no exception. Affordable smart phone technology can exponentially improve access to health care and help in the efficient use of limited resources such as doctors and medical facilities. While indigenous affordable technologies have been developed, the smart phone/tablet revolution has added a new axis of innovation. Doctors in the developed world are already using smart phones for patient care. Dr. Lee Rogers, a podiatrist and associate medical director at Valley Presbyterian Hospital in Van Nuys, Calif., recently turned to the video chat capabilities of his iPhone 4 to enlist the help of two other surgeons who were located in Arizona. They guided him through a 45-minute surgery that saved the foot of a diabetic patient. It’s easy to envision similar applications being put to use in the developing world. This presents a lucrative opportunity for startups to develop affordable devices and apps that have diagnostic/screening capabilities, and connectivity that enables communication with doctors. 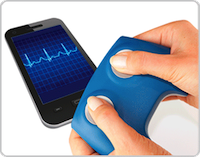 Below is a quick round-up of smart phone-based medical devices that are already on the market. Stethoscope: StethoCloud takes a regular stethoscope and hooks it up to a smart phone so that an algorithm can diagnose a pneumonia patient quickly. Savic Research has patented a method to diagnose lung disease using a computer-based analysis of stethoscope inputs. ECG monitors: Plessey Semiconductors has produced a smart phone-attached heart monitor that’s used to measure, record and detect heart function. 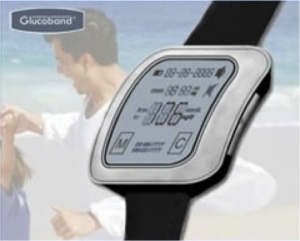 It uses an EPIC (Electric Potential Integrated Circuit) located under the phone to read heart pulses, and displays the ECG trace on the smart phone monitor. The patient has to press down on two EPIC points under the phone, and the trace appears on the screen. AliveCor iPhone ECG has a similar functionality. 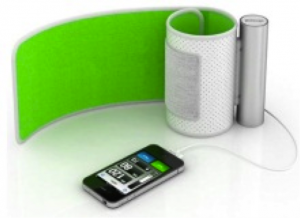 Blood pressure monitors: Ihealth and Withings have developed effective blood pressure measurement products that link to the iPhone. Both provide the option of communicating with doctors and other devices. However, they both retail for around $100-$130, still unaffordable for a rural health care worker. Glucose monitors: There are over 50 million diabetes patients in India alone, so services that measure and manage diabetes are a necessity in BoP health care. There are numerous blood sugar monitors on the market, and while most of them must draw blood to test it, the newer ones are contact-based. Smart phones and glucose monitors make for an interesting combination, since diabetics need continuous monitoring and lifestyle management for better health. To that end, ‘health buddy’ apps such as Diabeto are already available, providing comprehensive management that also keeps the doctor in the loop. However, the cost-per-use is high, currently around $1 per use. Ultrasound: Ultrasound scanning is being used for newer applications, such as breast cancer detection, tissue scanning (replacing a CT scan) and bone density scanning. 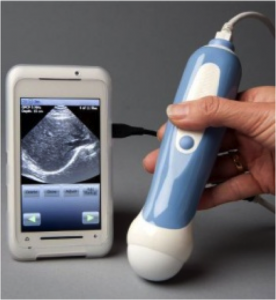 Mobisante has developed an ultrasound application and attachment for smart phones. Mobisante’s ships with a smart phone and carries a hefty price tag of $7,000. Beyond their affordability, there are key barriers to the widespread adoption and use of smart phone-based medical devices. Behavioral change for doctors: Doctors are used to seeing their patients face-to-face, and some conservative doctors believe that diagnosis is incomplete without a physical meeting with the patient. The connectivity enabled with smart phones will be ineffective if doctors don’t adapt to remote diagnosis and treatment. Doctors often maintain their diagnostic and treatment habits over the course of their careers, so they will need open minds to adopt these new methods. Regulatory approval: The United States’ FDA approval process for medical devices is complex, and it can take anywhere from several months to a year or more for completion. Mobisante spent eight months getting FDA approval for its ultrasound attachment and hence was forced to ship its device with an outdated smart phone. With fast- changing technology, it is important to right size the process to allow devices to hit the market quickly. Armies of healthcare workers and delivery models: The adoption of affordable smart phone medical technology is dependent on the availability of health care workers and delivery businesses that are focused on (and capable of) delivering health care services outside the walls of a hospital or clinic. Without this, many patients – especially those in rural areas – may not receive the full benefits of the smart phone’s diagnostic and treatment potential.